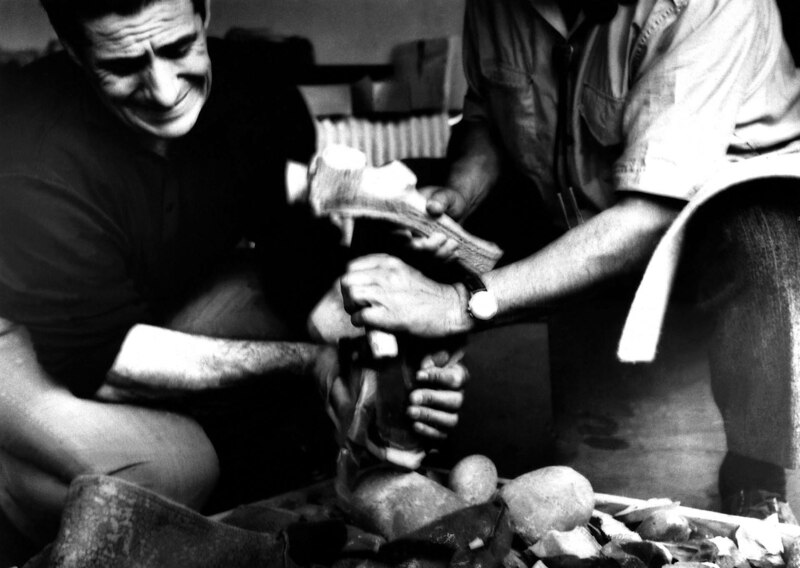 Jacques Tixier, the scholar of lithic technology passed away on April 3rd 2018. We dedicate the volume of 2019 to his memory. 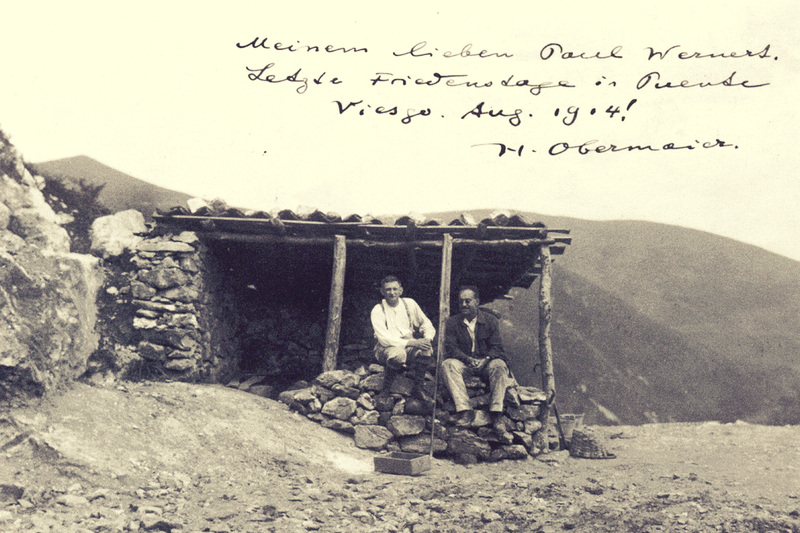 As another form to pay homage to Jacques Tixier, we recall his personality by photographs, sent by the authors of the papers, that we present here as a series of “postcards.” The first part of the series was submitted by Pierre-Jean Texier, director emeritus at the CNRS, also a disciple of Tixier. 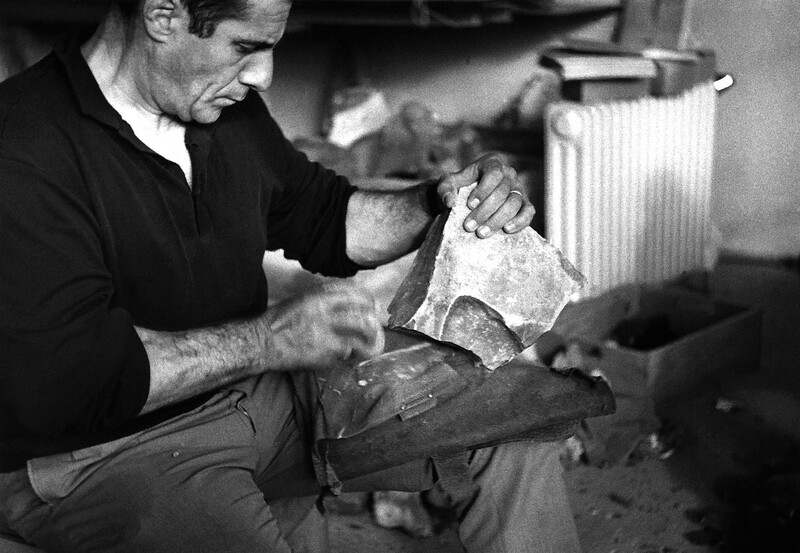 These are photos from the dawn of experimental knapping – Les Eyzies de Tayac, France, 1964. 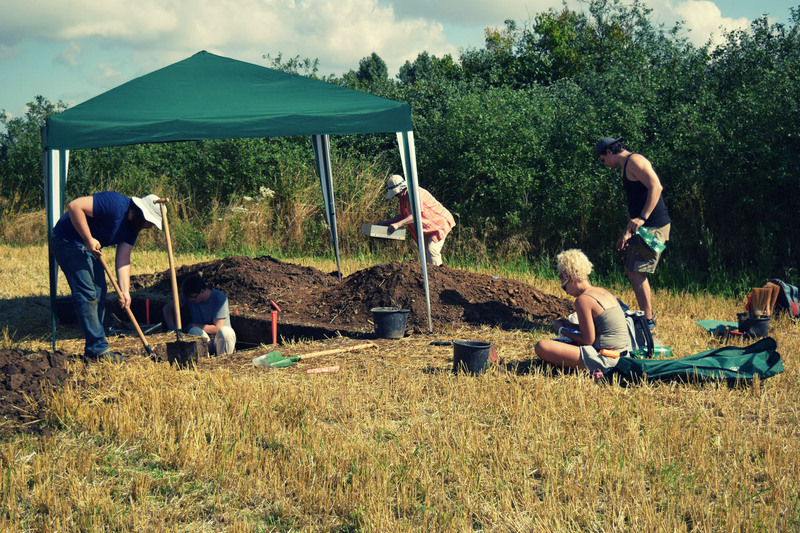 The Les Eyzies conference was organized by François Bordes, an avowed lithic expert in this time. 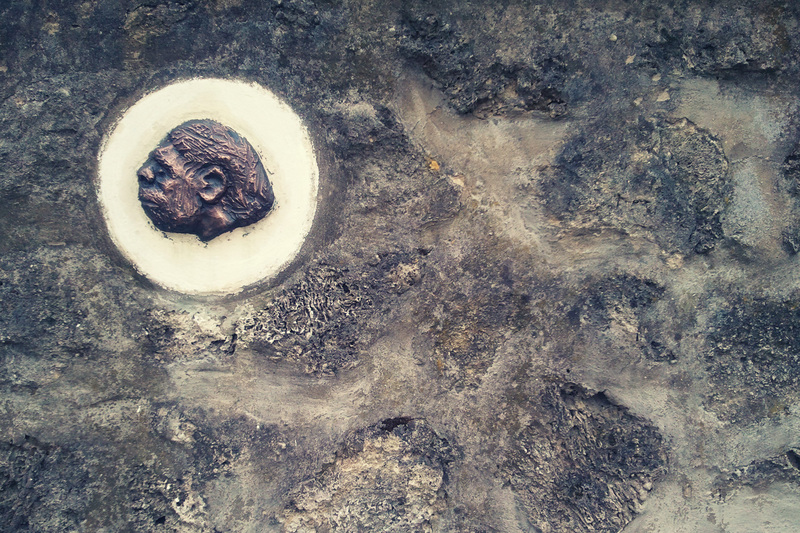 The participants of the meeting not only discussed about ancient artefacts, but they have been trying to reproduce them. Of course, most people did not use knapped lithic artefacts in the sixties, so the technology was practically unknown at that time. 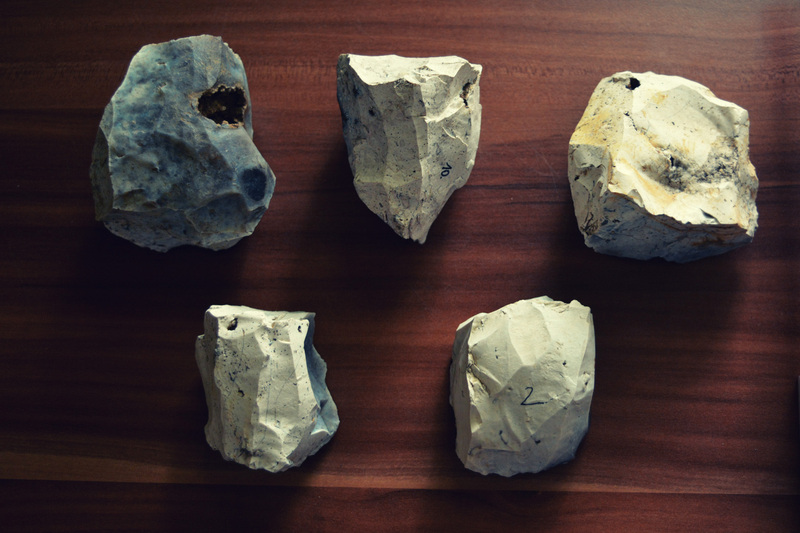 Bordes, Crabtree, Jelinek and not least, the young prehistorian, Jacques Tixier provided a fresh and long-term orientation of research: the role of stone tools in the past will be recognized only if we would understand the technology of making and using them. What else could be a more direct method to excel this than practice? The entire career of Jacques Tixier was determined by this technological approach. Sadly, the proceedings of the Les Eyzies conference was never published in print (or in video). However, the participants were satisfied that the experimental method works, and the method became a pillar of technological studies. Delpech, F., Jaubert, J. (szerk) 2009. François Bordes et la préhistoire. 134e Congrès national des sociétés historiques et scientifiques, Bordeaux. Jelinek, A. 1965. Lithic Technology Conference, Les Eyzies, France. American Antiquity 31(2):277. Left: Les Eyzies conference, 1964. Jacques Tixier detaches flakes with his right hand from a raw material block. The knapping surface of the raw material block and the hard hammer will collide in a way that results in the detachment of a sharp flake from the lower surface of the raw material block. 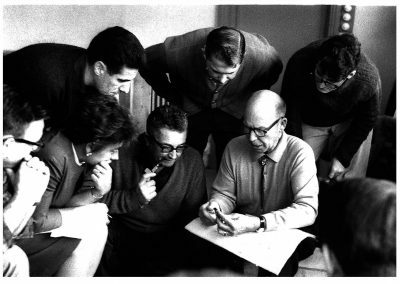 Center: Les Eyzies conference, 1964. Don Crabtree explains a lithic artefact he created, under the watchful eyes of his crowded audience. François Bordes sits on his right with his trademark pipe, Jacques Tixier is on the upper left of the photo. Right: Les Eyzies conference, 1964. Bordes and Tixier are conducting indirect percussion. With this technique, an intermediary object, called a punch, is placed between the raw material and the hammer in order to control the direction of the blow. Judging from the look of Tixier, there were unsuccesful attempts before the photo was taken.